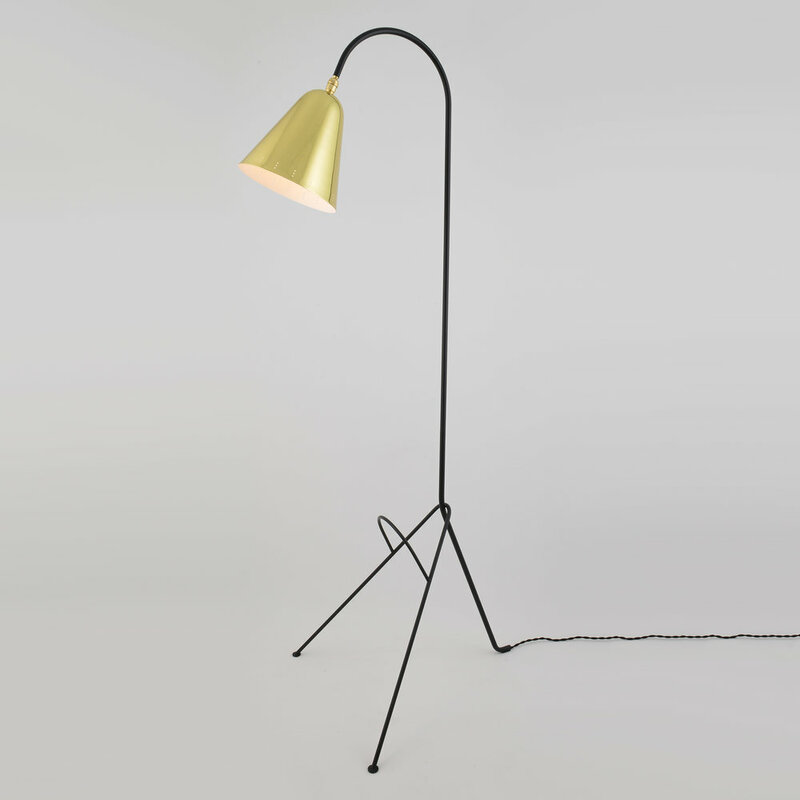 Phoenix Day brings to you the beautifully crafted Ronchamp Floor Lamp, designed by local San Francisco designer Charles De Lisle, as part of The Marseille Collection. Inspired by the Notre Dame du Haught Chapel in Ronchamp, France (designed by Le Corbusier). Along with the Ronchamp Floor Lamp, Phoenix Day will soon be introducing a coordinating wall bracket, sconce and pendant as part of the collection. The Ronchamp comes with either a larger brass shade with a perforated pattern, or the smaller brass shade. The base comes in a matte black finish only, and the shade can be fabricated in any of the Phoenix Day finishes. With this Collection Phoenix Day maintains its commitment to combining historic traditions with a modern interpretation, while maintaining the hallmarks of quality & consistency established by our founders over 160 years ago.